VoIP, or Voice over Internet Protocol is changing the way people communicate. Instead of being stuck with overpriced phone companies, more and more people are instead opting for the cheaper and, at times, more reliable VoIP. So, what is it? VoIP works by taking analogue audio signals and transforming them into digital data to transmit over the internet. The best thing? It’s usually free. All you need is an internet connection and a VoIP provider. Let’s take a look at the different companies using VoIP calling in exciting and innovative ways. Social media giant Facebook recently released free calling over VoIP using their Facebook Messenger app earlier this year. While at first this feature was limited to only iPhone users, Android users are now able to experience this feature. Facebook users can use VoIP by selecting the Free Call button, either using the Facebook Messenger or through a friend’s Facebook profile. This feature does not connect to landlines or cell phones, but is nonetheless an important step for social media. It is currently in the process of being rolled out, and should be widely available by summer 2013. Viber was one of the first successful VoIP companies with its innovative app, providing users with free calls and free texts to other users. 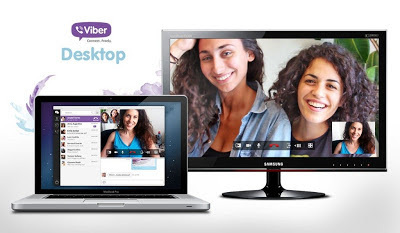 Their latest update, version 3.0 Viber, is now available on PC and Desktop in a move which looks to rival leading VoIP provider Skype. Viber users are now able to text, voice call and video call from their computers. Best of all, calls can be seamlessly transferred from Viber Desktop to Viber app with one click. The update also allows users to send stickers, emoticons and photos. Another neat feature is that received and sent messages will show on all devices, but only notify you on the device you are currently using. Viber remains 100% free and is dedicated to remaining ad-free. Rebtel is often referred to as Sweden’s answer to Skype. The company has just released a new SDK (Software Development Kit) which allows both iPhone and Android app developers use VoIP in their apps, completely free of charge. This has given app developers the opportunity to include VoIP technology where they might not have otherwise. Rebtel’s new SDK has allowed other companies to use VoIP in new, interesting ways. Take for example the dating app, Maybe, which uses Rebtel’s VoIP to provide its users with a safe and simple way to connect. Maybe is completely mobile thanks to VoIP, so users can look for single users wherever and whenever they want. These companies using VoIP have provided users with a cheap alternative to traditional mobile carriers. And as mentioned above, VoIP companies are continuously coming up with new and exciting ways to use this technology to benefit users. This guest post was provided by VoIP expert Jonny Grant of Packnet, a UK telecommunications company. Jonny has written about the advances of VoIP for a number of years as part of his role working but business phone VoIP services.